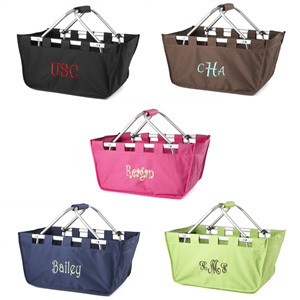 These Monogrammed canvas market totes are great for shopping, picnics, trips to the beach and much, much more. 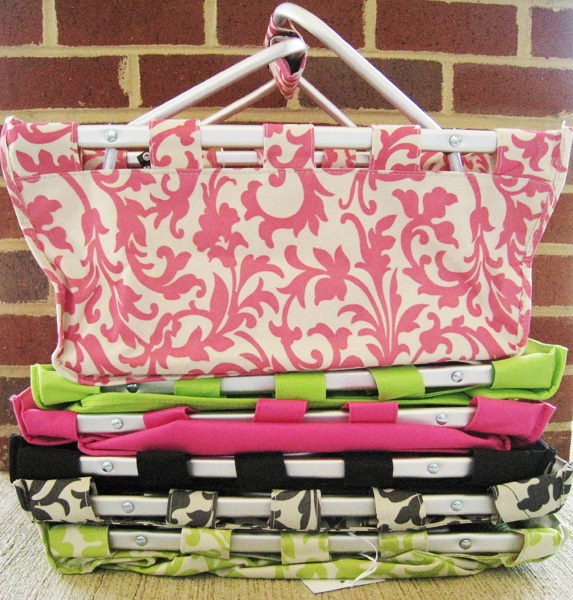 Make your next shopping trip a stylish one with these beautiful market totes. They also make great gifts so stock up now! Measures 9" tall x 18" long and 11"wide. The aluminum frame holds the tote in shape. Folds FLAT for storage! !